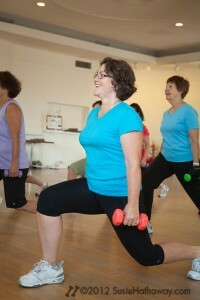 Exercising After a Fracture - See a Physical Therapist 1st! Question: Do your 10 Tips for Osteoporosis Prevention Exercise apply to someone who has already fractured or would you modify any of them? I received this question last week on the National Osteoporosis Foundation’s online Support Community where, as one of the four moderators, I comment on exercise questions. The query came from a woman who recently suffered 2 vertebral compression fractures (VCF) and had previously, unknown to her, had another VCF. Her DXA bone mineral density scores are in the normal and low bone density (osteopenia) range and she is currently seeing a physical therapist (PT). I’m sharing my response here because at least half of my clients have osteoporosis and I’ve made it my mission to offer safe exercise programs, low bone density or not! 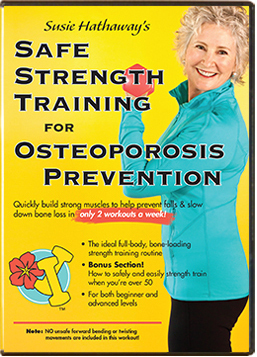 Years ago, my personal training work with women over 50 was focused on osteoporosis prevention. But now, women are joining my classes who’ve already experienced significant bone loss or have had a fracture and my goal is to keep everyone exercising safely. Good question! The Too Fit to Fracture advisory panel, (endorsed by the NOF), gives exercise recommendations based on risk category. Even though your DXA scan numbers show normal or low bone density, with vertebral compression fractures you’d need to go with their “osteoporosis with fractures”/high risk recommendations. 1. 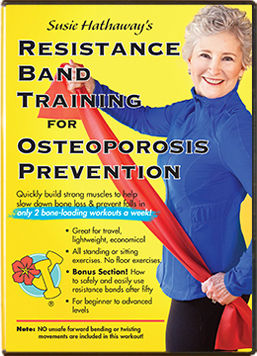 We strongly recommend that individuals with osteoporosis engage in a multicomponent exercise program that includes resistance training in combination with balance training. 2. We recommend that individuals with osteoporosis do not engage in aerobic training to the exclusion of resistance or balance training. 3. Consultation with a physical therapist is recommended for older adults with osteoporotic vertebral fracture to ensure safe and appropriate exercise.” —That 3rd line is good advice and I repeat it often! It’s excellent that you’re seeing a physical therapist. Each time you go, be sure to have your questions ready about specific exercises, activities of daily living, or suggested resources. I noticed that you posted a question whether Sara Meek’s, Walk Tall! book, would be good for you. Sara is a physical therapist who has worked for decades helping people with osteoporotic fractures. I wouldn’t recommend trying to do your own therapy from a book, but hers would be good starting point for you to take to your PT for advice. You could consult with your PT about any physical activities to get her or his advice on the adaptations needed for your particular situation. No matter what activity you’re doing, always follow the important guidelines of protecting the spine by keeping it elongated and not rounding it, no deep twists or bends, no sudden jerky movements, etc. See the Moving Safely section of the NOF website. Your PT could give you a basic balance and strength training routine that would have you starting and progressing at a level that is safe and appropriate for you, individually. Also, have your PT show you safer stretches. 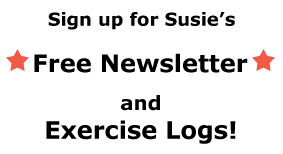 I’ve had people joke with me that simply walking in a straight line is an agility move for them, but they’re actually quite serious. The main challenge for all of us is as the years go by is to keep moving, but move safely. Getting one-on-one advice from a physical therapist is ideal. Make the most of your appointments by having your questions ready to ask about what specific movements are safe and effective. As you educate yourself you’ll gain the confidence and knowledge on how to move safely with a high risk of fracture. Never let up! Those appointments are for YOU! With your history of vertebral fracture, you’ll probably need to modify physical activities, some more than others. Of my 10 Tips for Osteoporosis Prevention Exercise, the heel thumps might be nixed or done more lightly and agility moves would need to be performed in as stable a position as possible to prevent a fall. Have a look at the whole Too Fit to Fracture pdf article; it’s very helpful. You will notice that those at high risk of fracture are encouraged to stay at a more moderate level, but still exercise regularly. So, that was my advice to about where to start after a fracture. If any of you have had a good experience at physical therapy, please leave a comment below, then click “Post Comment”! Sometimes, even one appointment can make all the difference in moving safely. Thank you for the help. I am visiting a physical therapist for the first time next week. I like the idea to really be aware of any questions that I may have before the appointment. Is there usually time to go over a few questions at each session? Justin, you can ask questions before and throughout your appointment. A good PT will offer information and you can keep the questions and answers going as long as you’re there. Best wishes with it! Exercising after an injury or broken bone can be a hard thing to do. After all, you push you too hard you could seriously injure yourself again. So, I like that you said to talk with your doctor or physical therapist about a way to start exercising without injuring yourself. Absolutely, Emily! It’s so worth taking the time and investing in yourself with professional rehabilitation. 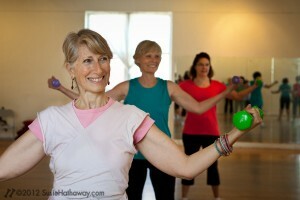 Physical Therapy Exercises are must for any age people. One should regularly exercise to get their muscle strong enough to work or move freely. One should motivate your parents to do regular exercise. Thanks for sharing the topic.